Our super-strong exterior wood screws feature a self-countersinking square drive head and are manufactured from the same corrosion-resistant carbon steel as our heavy duty Pro Hex screws, making them perfect for outdoor applications such as wooden decking. Specially designed to provide strong and durable wood-to-wood connections that can withstand all weather conditions, Carpenters Mate exterior wood screws also feature a pressure-treated timber finish to ensure the appearance of your decking isn’t affected. 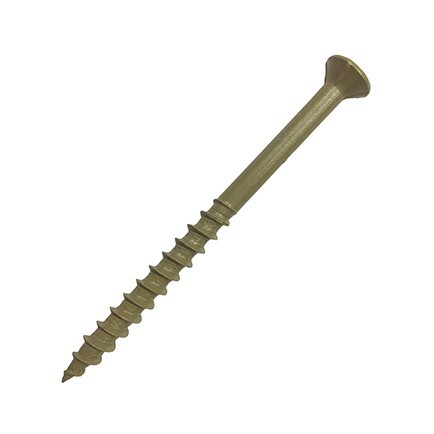 View more deck screws and landscape screws here.